So you are looking for a quality knife that is compact, light, extremely robust with an outstanding cutting ability for your everyday tasks? 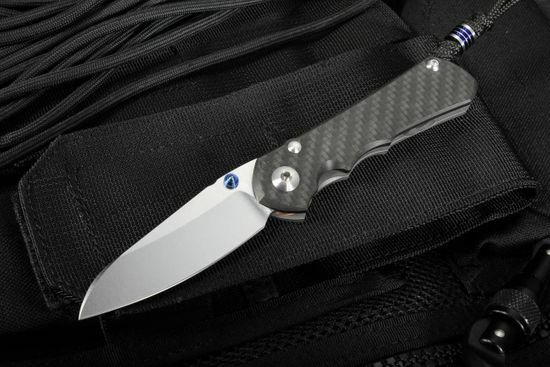 You have found the right knife, the Chris Reeve small Inksoi insingo in carbon fiber. The blade provides you with a compact yet capable cutting ability, the combination of the titanium framelock and the carbon fiber maintains strength while keeping the weight to a minimum and the workmanship is something that can only really be fully appreciated in your hands. 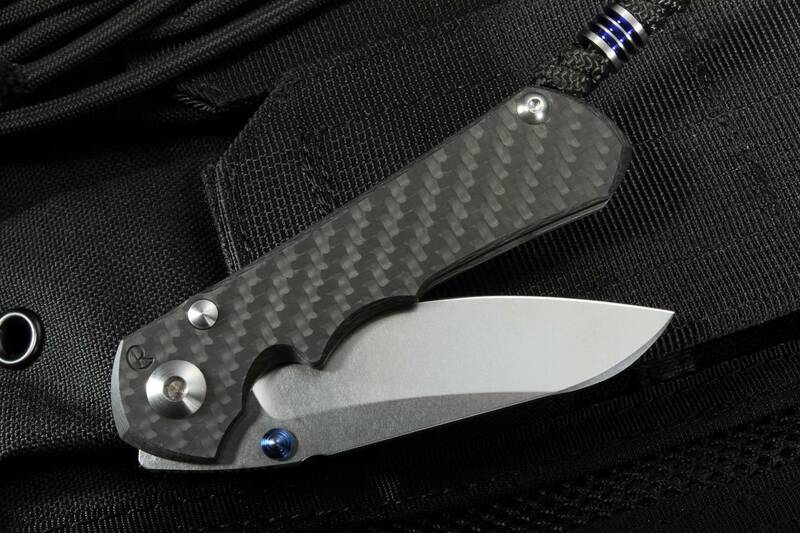 The carbon fiber on this knife is likely the first thing that you will notice that is different than a standard small inkosi. Carbon Fiber has been used structurally on this knife in a way that takes advantage of its phenomenal properties. The carbon fiber is extremely rigid and one of the strongest materials for its strength to weight ratio. 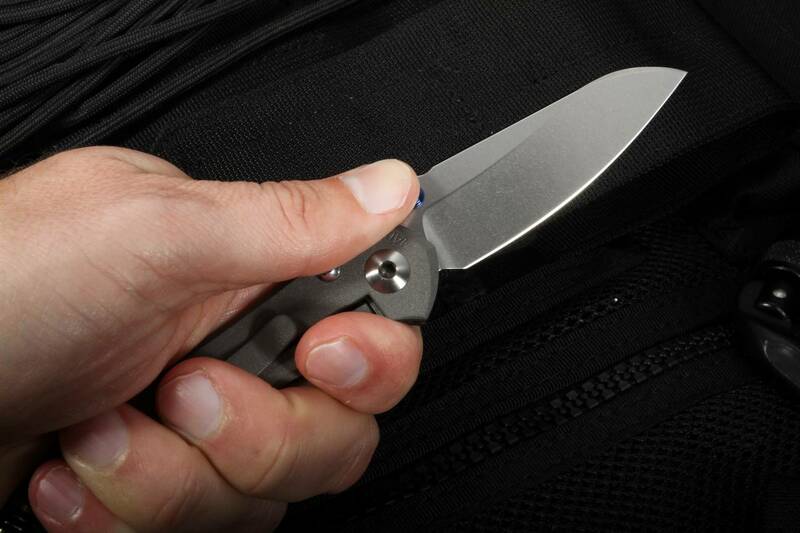 The insingo blade shape is one of CRK's most popular blade shapes in their knife line. Designed by Rodney Connelley and Chris Reeve, it provides a precise curvature for even slicing throughout the curvature of the blade length. 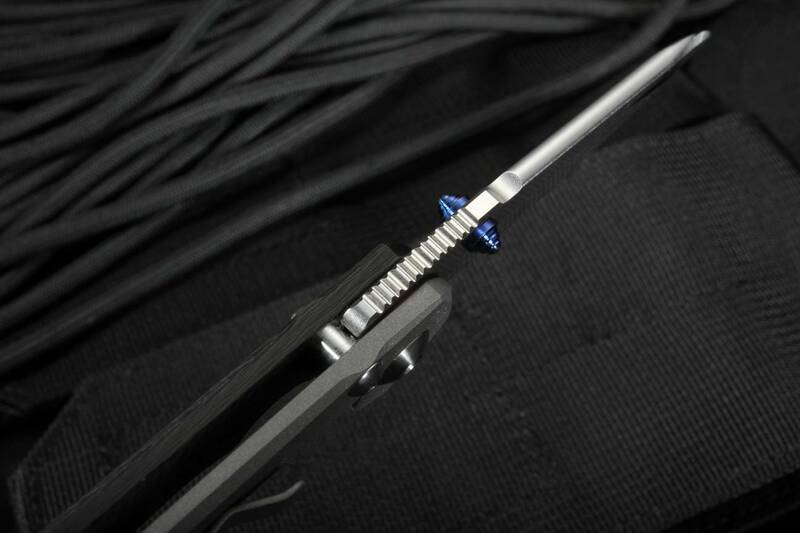 The tip on the insingo is pointed yet reinforced for excellent piercing and fine cutting tasks at the tip. The blade grinds on this knife are large hollow grinds that combine the best of both worlds; a hollow grind and the flat grind. The blade steel that is used on this Reeve EDC is American-made CPM S35VN steel. Stainless CPM S35VN steel is an excellent cutlery steel that provides a balanced approach to the properties of knife steel. The sub 3" blade length, coming in at 2.8" is compact yet stronger. The inkosi has an 8% thicker blade stock than the small sebenza 21 which makes the blade much stronger. 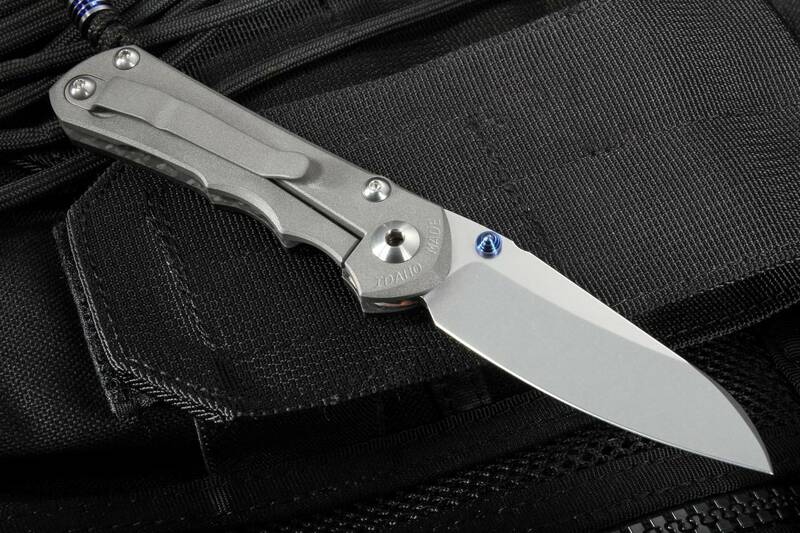 This Inkosi knife has the legendary Reeve integral framelock with the added benefits of a ceramic lock bar interface that increases the lock life and reduces wear. 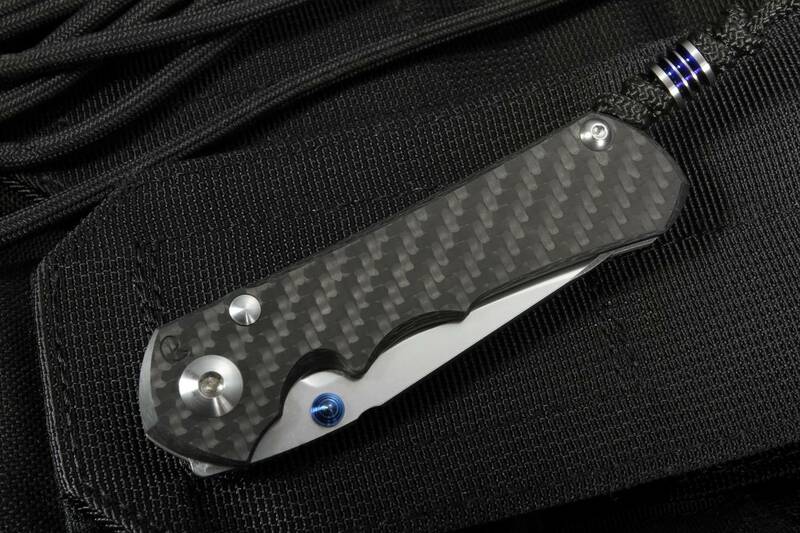 The carbon fiber inkosi also has dual anodized titanium thumb lugs for easy right or left handed opening. 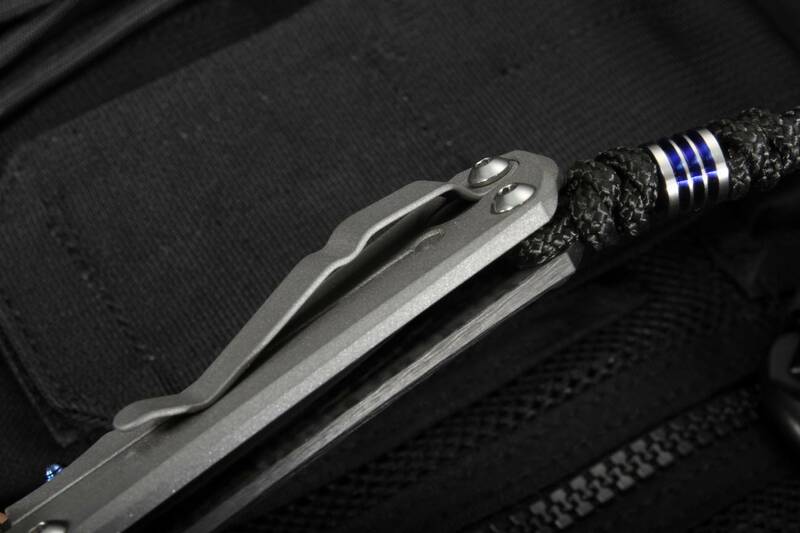 The folding knife is fitted with a pocketclip and black cord lanyard and a titanium bead is an added touch on this exclusive knife in our Foundry Gear series. This American-made knife is quality crafted in Boise, Idaho and is well know for their high level of tolerances, fit and finish and a lifetime warranty that really can't be beaten. After years of work, this knife can be sent in for a full tune-up, 'spa treatment' and it comes back ready to serve another lifetime. Make the small inkosi a big part of your everyday carry rotation. 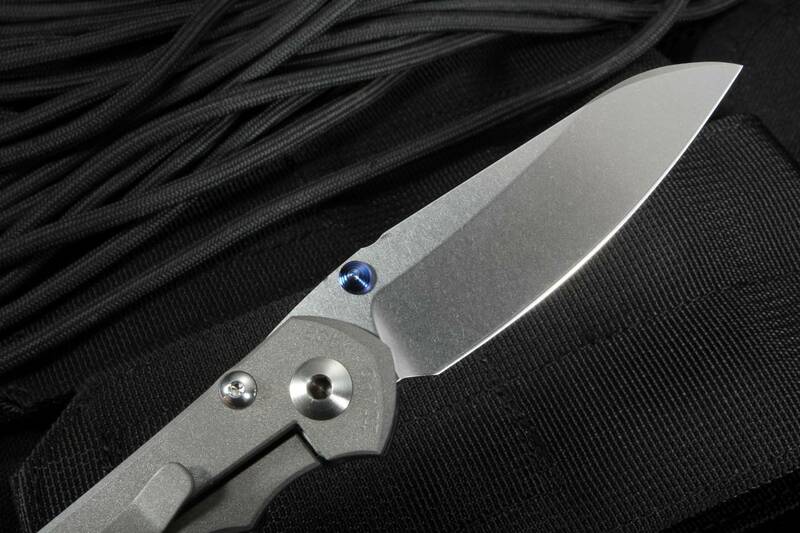 The Chris Reeve small inkosi comes packaged with several hex tools, fluorinated grease, and a chamois polishing cloth. INCLUDED WITH KNIFE: Hex tools, locktight, attached lanyard/bead, CRK lubricant, certificate/paperwork, CRK chamois and packaging. I've become a regular customer of Knifeart. Their service is outstanding!! Each knife I've ordered has been received promptly and in excellent shape. I recommend them highly! Great "Little" knife, perfect for EDC and as always from CRK outstanding overall quality. Fasted delivery service from Knifeart for a reasonable price. Although it's not my first Chris Reeves folder, having acquired several Sebenzas over the years, including a large Sebenzas with carbon fiber grip from Knifeart, it was my first Inkosi and I couldn't be happier. Feared it would be a repeat of the Sebenzas but it is unique, improved and great. I don't normally give 5 stars. This knife is the smoothest knife in my collection. Much smoother than my Small Sebenza. Closing it is equally the best frame lock that I own. The lock bar requires much less pressure than my Sebenza too. Initially I thought about ordering the Inkosi but, I did not like the scalloping of the handle. Big mistake! The scallops fit my fingers perfectly. If you are considering just owning one Chris Reeve knife, I recommend the Inkosi. If you relent and buy another one or more, we all understand. I may be buying a Large Inkosi in the future. The large is a superb tool, so i got myself the small version for summer. I used it while on vacation and it served me very well. Very versatile - I love the small package more and more. Service from KA: Top notch! Keep up the good work. This was my first Chris Reeve knife and I'm very happy with it. Has everything I was looking for in a small folder..First Class!! This is not my first Chris Reeve knife, but it's certainly my favorite. In fact, it may be my favorite EDC, period. It feels blasphemous to say that the Inkosi is is an improvement on the Sebenza, but it really is. Fit and finish is all that we've come to expect from Chris Reeve. And the proportions are phenomenal. The carbon fiber scale is a visual and tactile delight. Perfect size for my personal EDC. All around top quality, nothing bad to say. Buy one while you can. I've been debating the purchase of a Chris Reeve small Inkosi for months, cost vs value. My expectations were very high when I received my recent purchase of the Carbon Fiber Small Inkosi with Insingo Blade. Once I held it and felt the smooth operation (dozens of times), felt and saw the fit &finish, I realized I had purchased a knife that one day I would pass down to my grandchild. The debate was over. Chris Reeve writes about maintaining tight tolerances. I wanted to remove the clip without bending the clip or marking the knife. 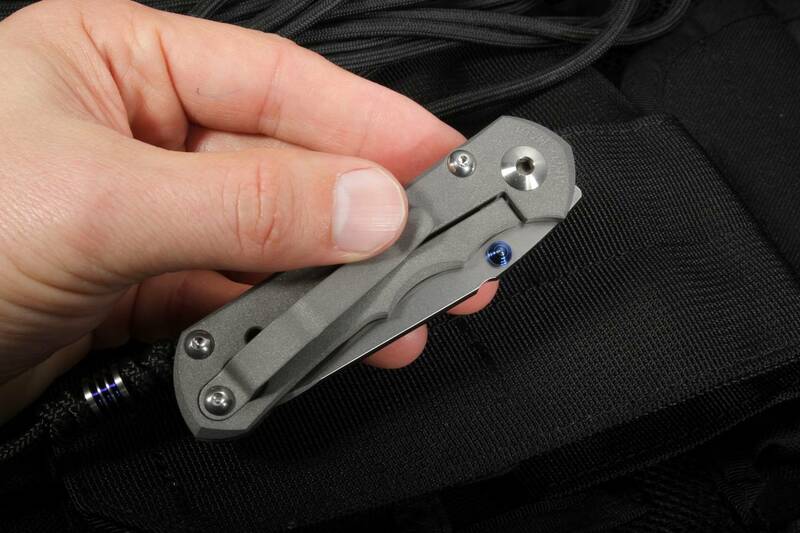 The tolerances between the clip & knife are very tight, making it very solid when clipped to pants. I called Chris Reeve whose team was outstanding, answered all my questions to ensure I was completely satisfied and recommended a clip gap filler piece that screws into the knife frame. Service and delivery from KnifeArt continues to be outstanding, this was my second purchase. The purchase, knife and follow up lived up to my expectations.